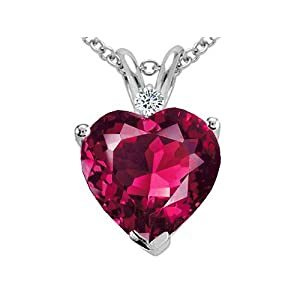 Heart Shaped Ruby Pendant - Rich and Red. Warm and Wonderful. 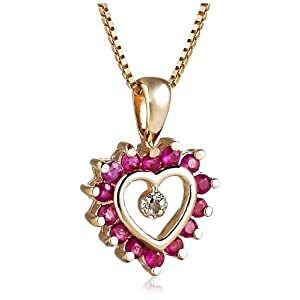 A heart shaped ruby pendant is a wonderful gift as it symbolizes love and affection. It is also a time tested favorite that never goes out of style. Heart shaped pendants are exceptional pieces because they represent the organ that keeps us alive. 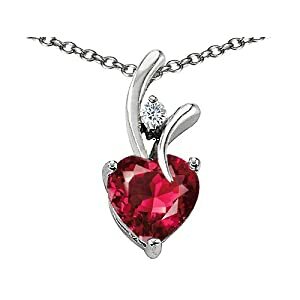 Aside from being a symbol for love, some people believe that heart-shaped pendants with rubies or with other kinds of gemstones represent spirituality. 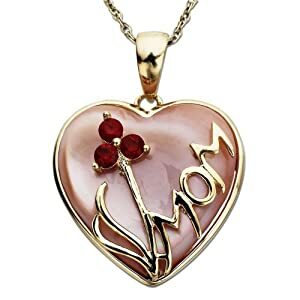 Many others perceive heart shaped ruby pendants as a representation of the sacred heart of Jesus. 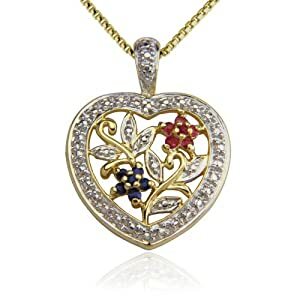 For all these reasons, heart shaped pendants are precious pieces of jewelry. Giving them to somebody will definitely send the message that they hold a special place in your life. Similar to jewelry pieces that are adorned with precious gems such as sapphires and diamonds, heart shaped pendants decorated with rubies can be expensive with such luxurious stones and settings involved. No problem! 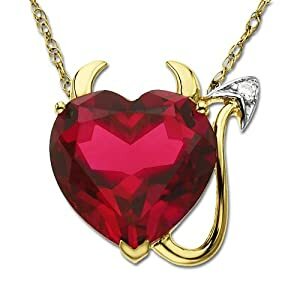 Prices for heart ruby pendants vary. They range from affordable to pretty expensive, depending on gem quality, cut, carat count and the value of the metal in which it is set. The most common precious metal used as setting for rubies is 14k yellow gold. However, those who prefer a less conventional setting, white gold and sterling silver are great choices to consider. Also, if your budget allows, you can have your heart ruby pendants custom-made with additional embellishments like diamonds. 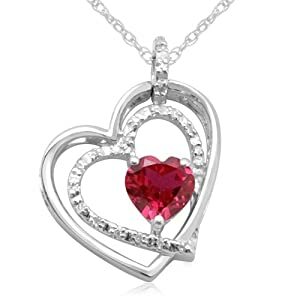 Heart ruby pendants are valuable and extremely popular. As a matter of fact, one of the precious pieces to be premiered in Christie’s New York as part of Elizabeth Taylor’s Legendary Private Jewelry Collection is a Bulgari necklace and heart shaped pendant with small round, oval and drop rubies. Other pieces to be featured in Elizabeth Taylor’s staggering collection include a 1.04 carats Boucheron heart shaped diamond ring in yellow gold and another heart-shaped pendant that comes with the Cartier Tutti-Frutti necklace set. Other pieces to be highlighted during the event are the 33.19 Krupp Diamond by Harry Winston and the Taj Mahal diamond which was given to Elizabeth on her 40th birthday by Richard Burton. Originally, the Taj Mahal diamond was a gift to Mumtaz-I-Mahal, the most beloved wife of Mughal Emperor Shah-Jahan. This stunning event will benefit her charity foundation which is known as ETAF or the Elizabeth Taylor AIDS Foundation.